I usually write about the technical aspects of diabetes. Here's a personal story. Gail Wellings, seen in the photo, cut her toe and ended up having her lower leg amputated. She had undiagnosed diabetes for several years, not learning of it until after her amputation. 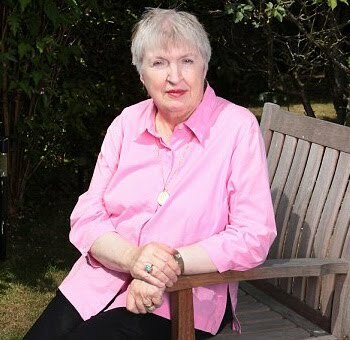 "Sometimes there are no signs, as Gail Wellings discovered, when she fell on a kerb, cutting the big toe on her right foot. Although she wasn't in pain, the toe became increasingly red and the cut failed to heel. Gail, a secretary from High Wycombe, Bucks, was sent to A&E where, after a day of blood tests and X-rays, she was a told that even though it was just her toe that had been injured, she had no circulation in her lower leg and before long those tissues would become gangrenous, too. There was no real choice but for her to have a below- knee amputation. 'It was a nightmare,' she says. 'One moment it was my foot. Now it was my lower leg. I was absolutely stunned because everything happened so quickly. What so perplexed her was that she'd had no other symptoms. 'But now, with the benefit of hindsight I can see why I might have been a candidate for the condition,' she says. 'I was 56 at the time (the risks increase with age) and 2st (28 pounds) overweight. Doctors guessed I'd been diabetic for around four or five years, which is why the damage was so great. It was the most horrible, horrible time of my life.' "
It surprised me that diabetes was not suspected earlier in these cases. Being overweight (but you don't have to be), being thirsty, peeing a lot, and blurry vision are giveaways. The article lists other warning signs too. genetics too. i'm from india and we have what's called a "thrifty genotype", putting us at a higher risk for diabetes. that said, 80% of it boils down to diet and exercise. In the U.S., 24 million people have diabetes and another 57 million have prediabetes. A sizable chunk of these don't know they are affected (20%?). Over the course of 3-5 years, one in four prediabetics develops full-blown diabetes. Get tested if you have any concern. Agree with Steve too. So glad you said that. I don't know what you use as a screening test, but I know lots of docs rely on a fasting glucose. And anything over 100 mg/dl (100-125) is indicative of prediabetes. It's a shame we can't more easily get postprandial (non-fasting/after-meal) measurements. I think they can be more telling. I cried over this article. I am a diabetic and having trouble keeping my Blood glucose readings down because I am super insulin resistant. I take tons of insulin and diabetic pills to no avail. My latest plague is swelling in the legs (severe). Please if you don't know if you have diabetes get checked, because daily foot care is a must. I highly recommend reading Dr. Barnard's Program for Reversing Diabetes. A strict Vegan diet may help, but not necessarily. However, a Vegan diet at the very least, will help protect your kidneys. Dr. Barnard has discovered that those on a Vegan diet has had to use less insulin, and many had to quit taking insulin altogether.